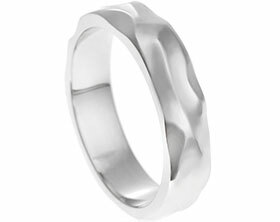 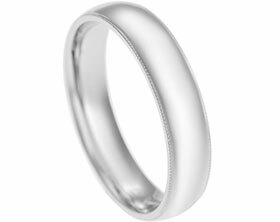 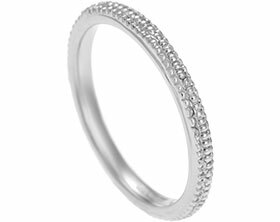 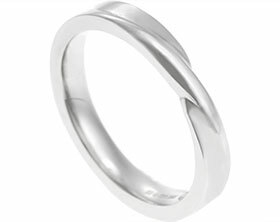 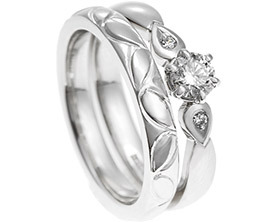 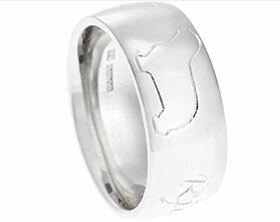 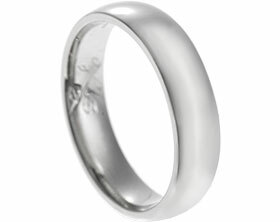 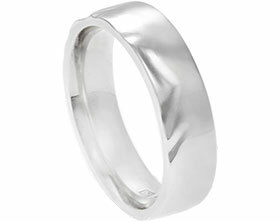 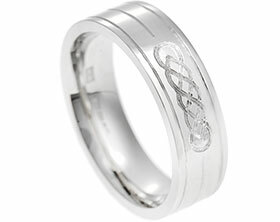 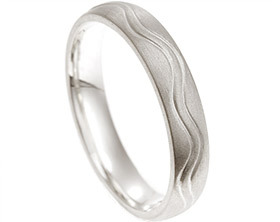 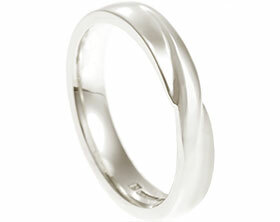 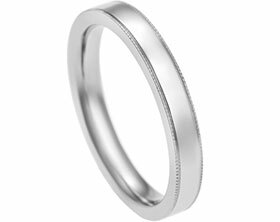 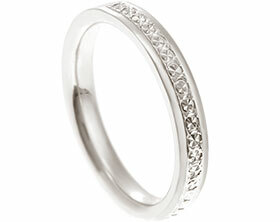 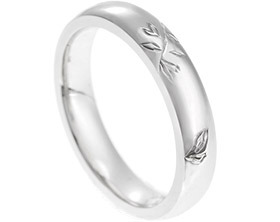 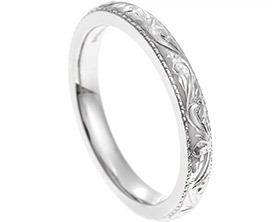 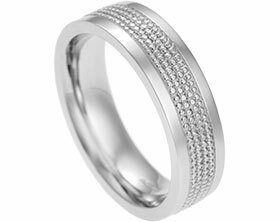 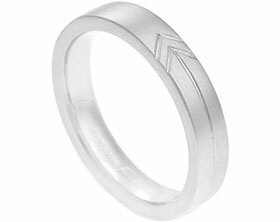 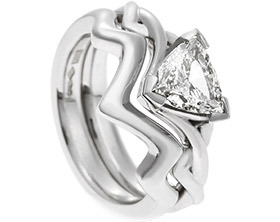 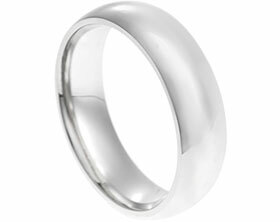 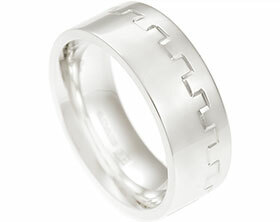 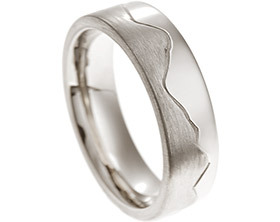 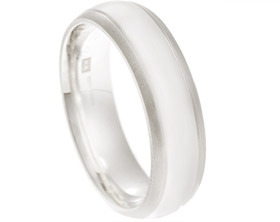 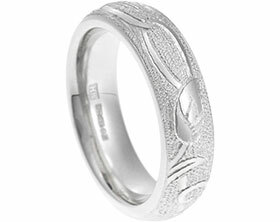 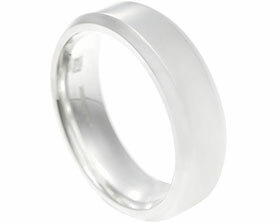 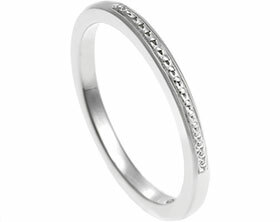 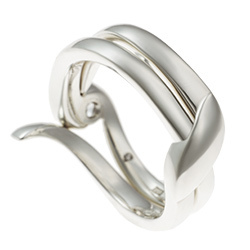 Rebecca's fitted cage 9ct white gold wedding ring. 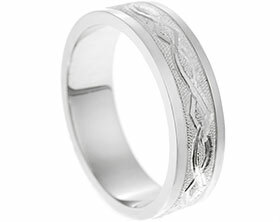 Matthew and Rebecca were looking for a cage style wedding ring to fit around either side of Rebecca’s engagement ring, with some curl shaping to reflect the design of the engagement ring. 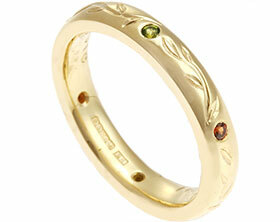 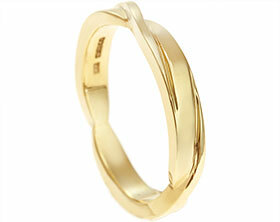 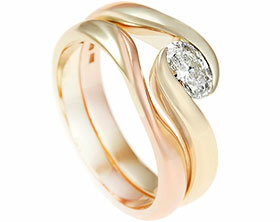 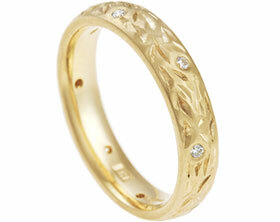 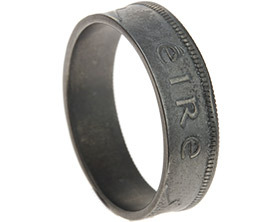 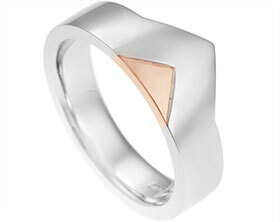 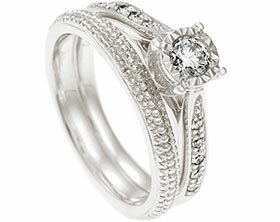 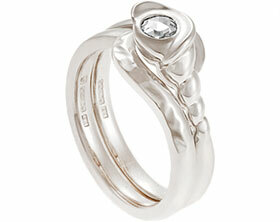 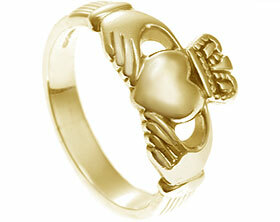 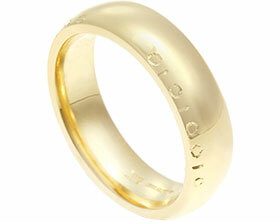 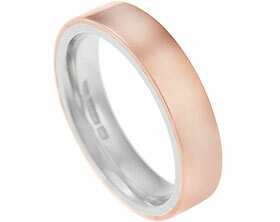 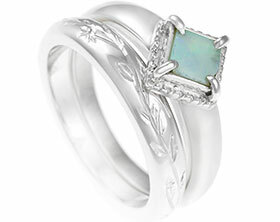 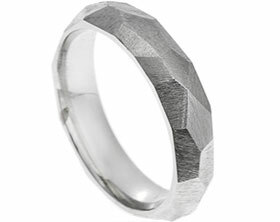 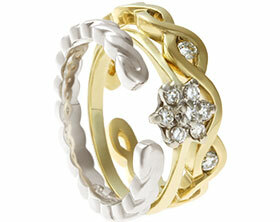 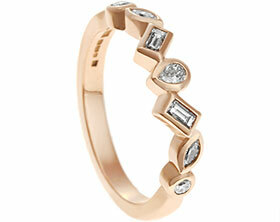 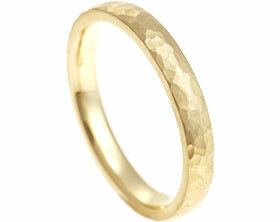 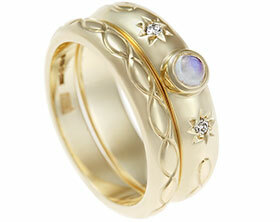 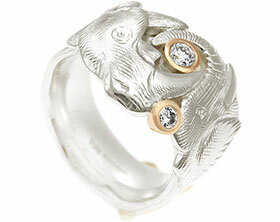 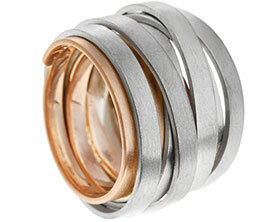 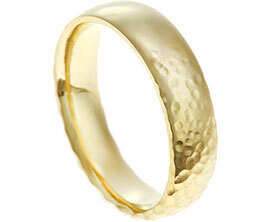 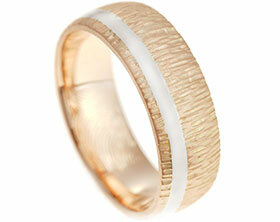 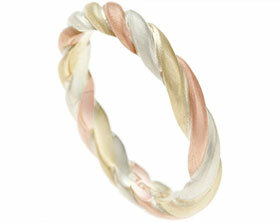 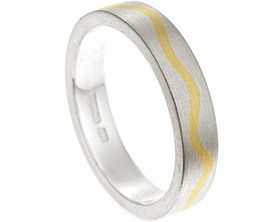 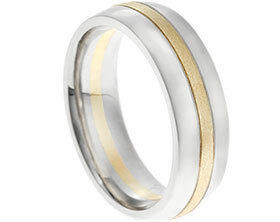 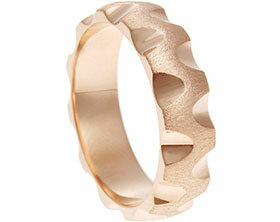 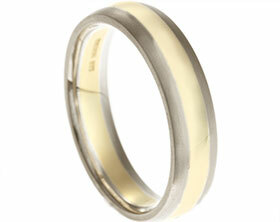 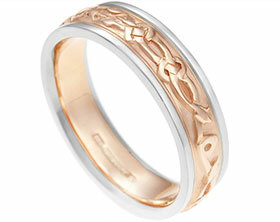 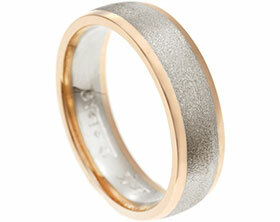 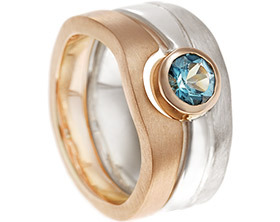 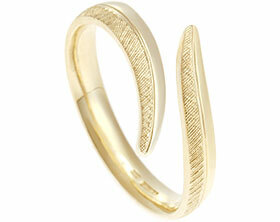 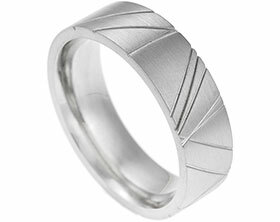 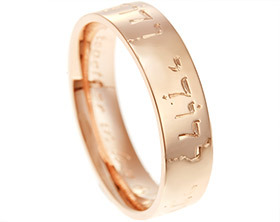 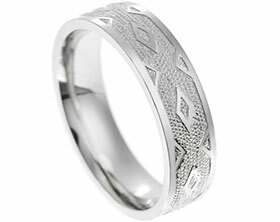 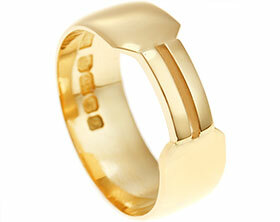 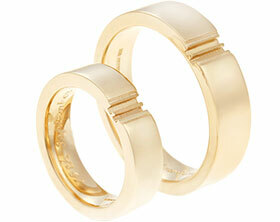 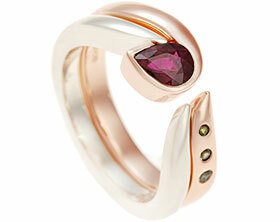 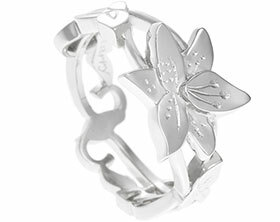 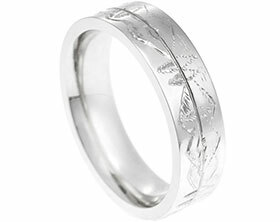 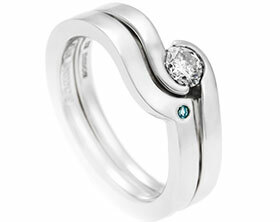 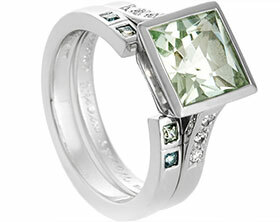 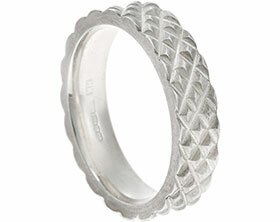 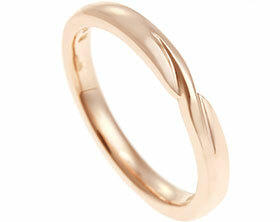 This cage wedding ring matches the engagement ring in all aspects and creates a beautiful set of rings.